Today's 2014 most awaited action film featuring the Padilla Family entitled Sa Ngalan ng Ama, Ina, at mga Anak. This is a Filipino flavored action movie that will showcase the skills and swag of a real Padilla. Now showing this January 29, 2014. This film was on the list to be supposedly shown at the MMFF last 2013. This film is directed by Jon Vilarin and proudly brought to us by Star Cinema and RCP Productions. The main cast Robin Padilla felt so overwhelmed of the appreciation of the people. Robin and the rest of the casts knew that this film will surely give a big break! Robin Padilla will playing the role of Ongkoy, Mariel Rodriguez-Padilla as Indah, Kylie Padilla as Anna, Bela Padilla as Damian, Mathew Padilla as Aldong, RJ Padilla as Ardut, Daniel Padilla as Nato, Gideon Padilla as Dagul, Rommel Padilla as Old Nato. 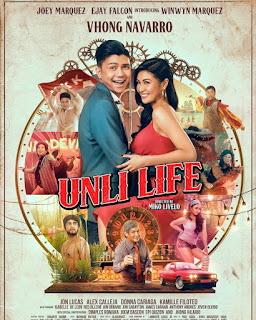 Other casts includes Queenie Padilla, Royette Padilla, Karla Estrada, Christopher de Leon, Dina Bonnivie, Pen Medina, Lito Pimentel, Dennis Padilla, Fa Mulan as Melissa, Kiray as Hannah, Kathryn Bernardo as Sarah, Jerald Hernandez as Makoy, Corey Varela as Maki and Xyra Arango as Cristina. Let's see how this war will end. Sa Ngalan ng Ama, Ina, at mga Anak now showing at cinemas nationwide! Grab your tickets now.